Södra’s expansion at Värö has the needs of tissue makers at heart. A TW report. 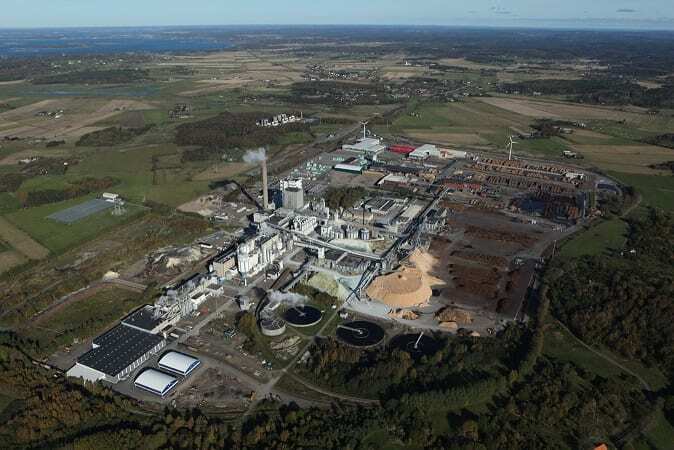 On 24 February 2014, Södra’s board of directors gave the green light to invest SEK 4 billion in a major expansion of its Värö pulp mill in Sweden. This is the world’s largest expansion of softwood pulp capacity in a decade and is designed very much with tissue makers in mind. While expansions in hardwood pulp capacity in Latin America are being chalked up at a dizzying rate, it has been another story with softwood. The increasing substitution of softwood pulp with hardwood in tissue has been partly responsible for this rash of new hardwood capacity. But the less softwood pulp in the mix, the better that softwood needs to be, as it is essential for the strength of thefinished product. Capacity utilization of softwood pulp mills is creeping up while that of hardwood is going in the opposite direction, and tissue demand is set to rise steadily for the foreseeable future. It all suggests that this injection of softwood capacity based on ideal raw materials for tissue production is very timely. Work is now underway to select suppliers to increase Värö’s current production capacity of 425,000 tpy to 700,000 tpy of pulp. This will make the mill one of the biggest in the world in terms of softwood sulphate pulp production. To appreciate Värö’s significance for tissue making requires a brief pulp history lesson. 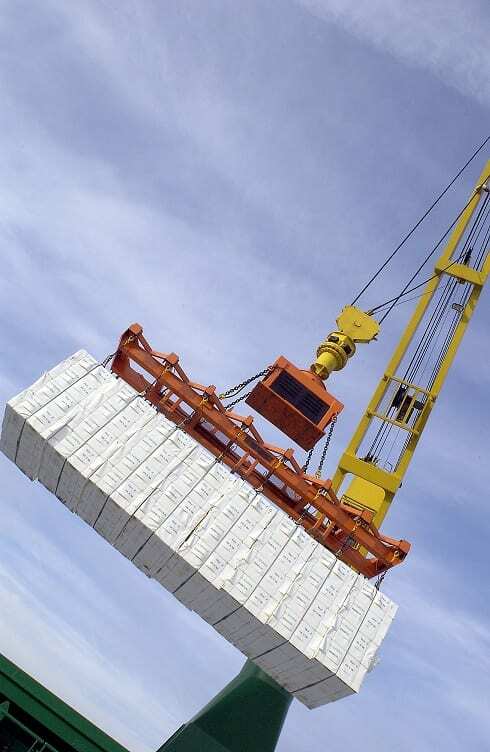 Canadian softwood kraft ceased to be an option for Europe’s tissue makers when it was substantially withdrawn from the field from the mid-1990s as shipments switched to Asia. Europe’s tissue makers had built their brands on the high-quality levels and reinforcement characteristics which the Canadian pulp imparted, and substitution needed careful thought. Södra’s spruce thinnings-based Black Z, with its combination of high softness and tensile, was just what they needed to match their need for pulps with this specific combination of properties. So at that point Värö took the necessary production and market steps to increase the proportion of its output sold to tissue mills from 10-15% toaround 70% – in tonnage terms a tenfold rise from some 30,000 tpa to the 300,000 tpa accounted for by tissue mills today. It is too early to say what proportion of the increased output will be used for tissue, but the tissue market will remain vital and this will be reflected in the pulp characteristics the mill will need to deliver. The tensile from softwood fibre on which tissue makersrely cannot be achieved by “just any old softwood” when used in relatively small quantities, particularly if softness is also required, as of course it is with tissue. Södra has found 57 that its Värö tissue pulps, with Black Z as a golden egg in a wide portfolio, represent just the fibre which tissue makers need. Started up in 1972 and employing some 330 people, Värö’s position in South Sweden (Södra is the Swedish word for South), puts at its disposal forest resources which are very specific in nature. In the northern Nordic region, with a very short window of warm weather, fibre walls experience short, sharp periods of growth, which makes them thinner and better for soft tissue. By contrast in Southern Europe, dominated by radiata pine, the growing period is fairly constant throughout the year, resulting in a thicker fibre wall that is not so great for softness. In Värö’s vicinity, the growth characteristics are between the two extremes, so to achieve the softness it requires, Södra harvests the younger wood from forest thinnings, which have thinner fibre walls for a softer tissue. It is a win-win situation for Södra and the forest, because at a certain growth stage of a plantation, the forest needs to be thinned out to allow it to thrive, but the resultant thinnings are unsuitable for use in construction. So almost as a byproduct of good forest management, Värö can procure the ideal raw material to which it can add value. As well as increasing pulp production at Värö, the investment just announced means that the mill can be made even more energy efficient. Värö is already independent of fossil fuels during normal operation and supplies of green energy can be increased still further thanks to this new project. The project management team is confident that that the project will meet all environmental requirements, and is cooperating with the authorities to put their minds at rest about the environmental impact. On the sustainability front, Värö can now supply FSC-certified pulp to all those who demand it and this will remain the case. The last decade has seen a transformation of Värö’s environmental profile, with a new recovery boiler, evaporation plant and causticizing plant. The most recent investments at Värö include the addition of two more screen rooms in 2011, supplied by Andritz and GL&V, to improve dirt content. This was followed by a process control upgrade, designed and implemented in-house, to produce much more consistent brightnesslevels. The installation of a new lime kiln in 2014 is the final step in a complete renewal of the recovery part of the process in just over a decade. Yet all these investments have been undertaken with future expansion in mind and will be able to accommodate the new capacity. In this sense they represent the start of an exciting new phase. The neighbouring sawmill is also perfectly poised to feed the increased demand for chips. The expansion at Värö will not only allow Södra to expand its position in tissue, but to continue its optimization of softwood for tissue production. 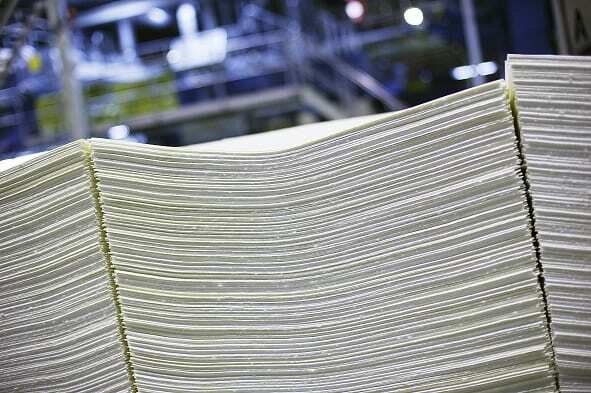 The expansion in Värö’s capacity to more than 700,000 tpy will grow Södra’s overall market pulp capacity by 20%, and require a major investment in best available technology which will equip Södra for the future development of its tissue pulps. The story of the process begins in the woodyard where the raw material which is best suited to tissue production is now selected more deliberately than ever before. Then following debarking, the chipping process has been upgraded to provide a much more even chip size into the digester. If a mill has to deal with a mixture of large and small chips, the degree of digestion is more random. “Consistency is important for all papermakers,” says Värö process manager Knut Omholt, “but tissue customers have a greater need of it than most.” The digestion process, through chip-size management and other proprietary improvements, has been optimized over the past decade to capture the potential of the raw material, in particular tensile. “If tissue makers start with an inconsistent pulp,” continues Omholt, “they have to make more adjustments to the process, such as the degree of refining, and this can affect runnability. It can also affect final product characteristics. “Our target has been to minimise the post-pulping refining necessary by maximising tensile within the process. The less refining that is necessary to boost tensile, the softer the tissue which can be produced with the pulp. We shall continue to optimize the process with the new expansion.” With the recovery process in place, the key technical aspect of the capacity expansion project just announced will be the more or less complete rebuild of the existing pulp line. Share the post "A half billion Euro investment with tissue at its core"